EMI excels at assisting our customers with implementing money saving remanufacturing and repair solutions. 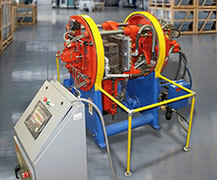 Remanufacturing foundry equipment to OEM standards can be a frustrating and challenging process. 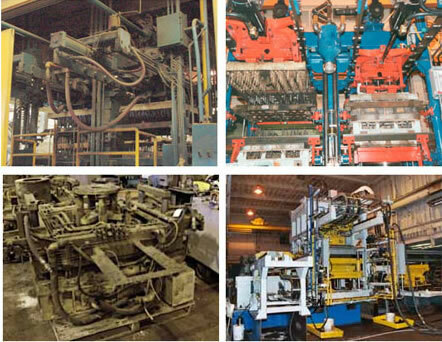 The strength and reliability of our remanufacturing program has gained distinction throughout the industry since 1982. EMI is recognized for quality remanufacture work of all types of foundry equipment. Not only can we remanufacture your equipment to as new, we can also update and modify machinery to meet your current needs. Our goal is to furnish the most reliable and up-to-date equipment available while concentrating on safety, savings and customer satisfaction. Our machines and systems assure consistently reliable, productive and profitable operations. EMI remanufactures to “as new” condition and backs their work with guarantees. EMI has acquired the famous historical foundry brands of Osborn, SPO, CE Cast, IMPACT, Sutter, and Herman. Following our rigorous quality control process, we can provide an un-matched equipment warranty. Updates of aged equipment to current standards and practices. EMI brings the ability to modify your existing equipment to fit into new more efficient manufacturing processes. Click here: Service and Replacement Parts.